This recipe was inspired by my Slow Cooker 40 Clove Garlic Chicken. It looks like it has wayyyyy too much garlic in it, but don’t knock it till you’ve tried it. It’s actually just the perfect amount and not too strong. Each bite has a hint of garlic and tastes delicious! 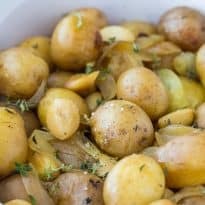 I love roasting potatoes in the slow cooker. They are so easy to make and a real “set it and forget it” type of dish. 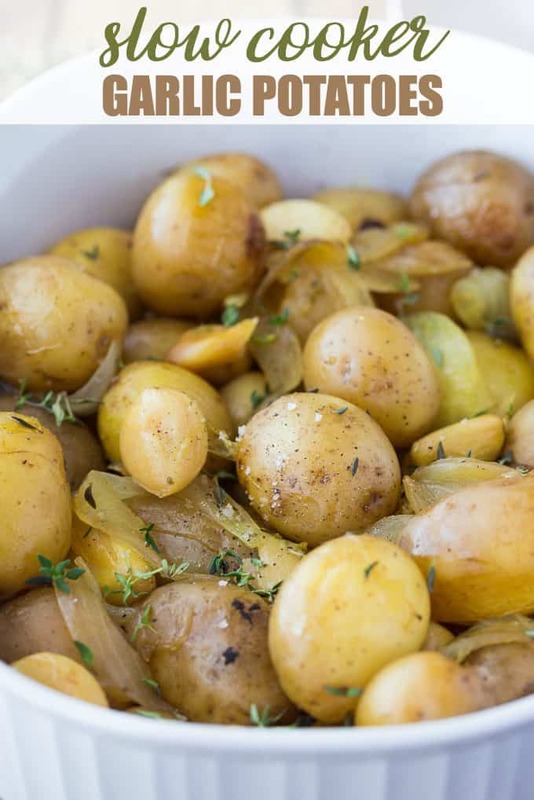 With oven-roasted potatoes, it’s easy to burn them if you leave them in too long. The slow cooker takes a lot longer for that to happen so hopefully you’d catch it before it happened. It hasn’t happened to me yet. Knock on wood! 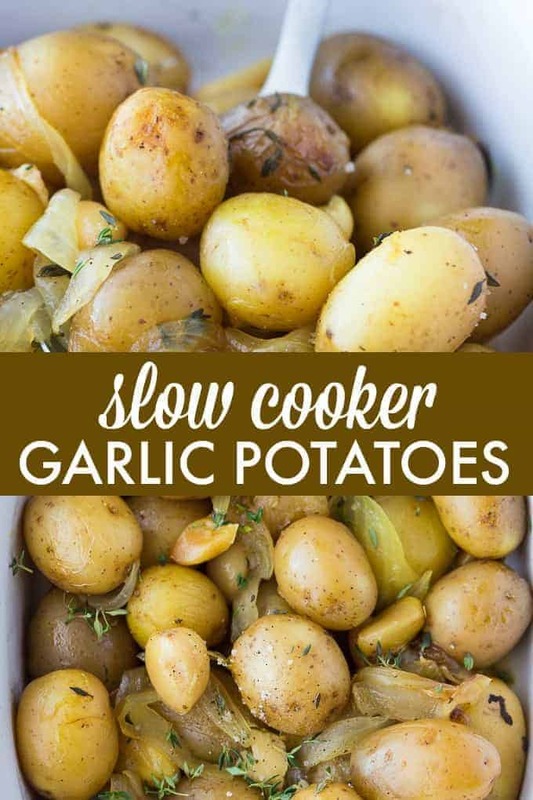 Do you ever make potatoes in your slow cooker? Perfectly roasted, tender and full of delicious garlic flavour. Don’t worry, the garlic isn’t overpowering and provides the perfect hint to each bite! Grease a 6 quart slow cooker with cooking spray. Add in chicken bouillon cube, lemon juice and water. Top with onions. Add in potatoes, garlic, fresh thyme and salt and pepper. Cover and cook on low for 8 hours or high for 4 hours. Serve hot.